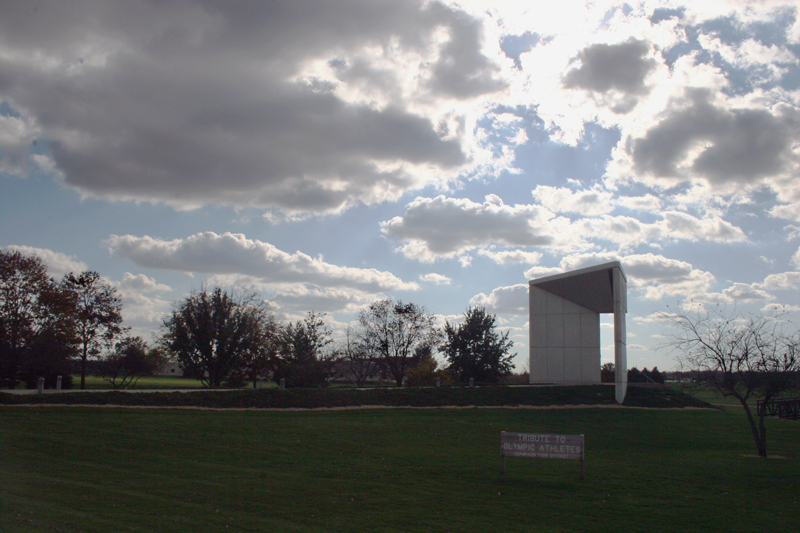 Architect and UIUC alumnus, Jeffrey S. Poss (AIB), designed this tribute. It is located in Dodds Park. 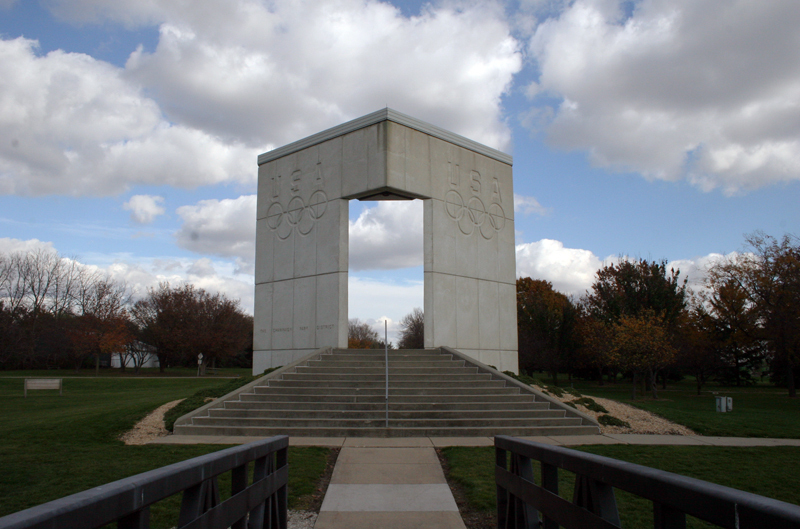 The Tribute to Olympic and Paralympic Athletes rises from an ordinary prairie landscape transformed by playing fields, gardens, and a community college campus. 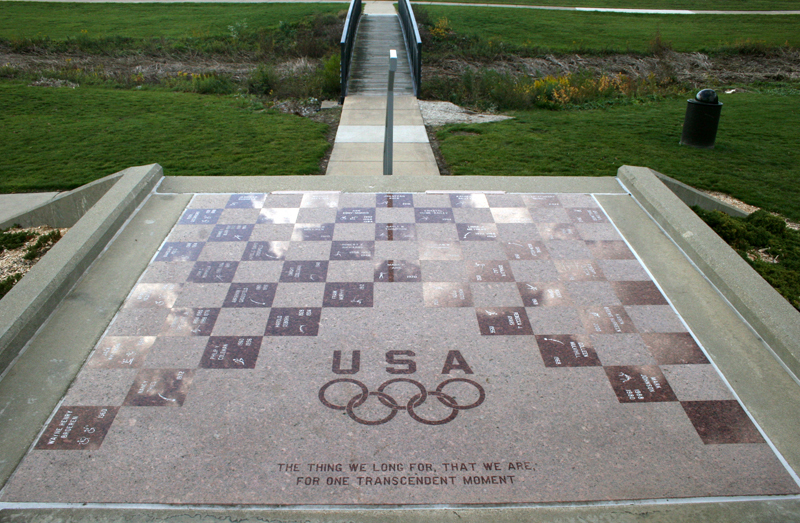 It honors the extraordinary achievements of Champaign County residents who have participated in the Olympic and Paralympic Games, and its granite platform is inscribed with their names and the Olympic symbol of linked rings. 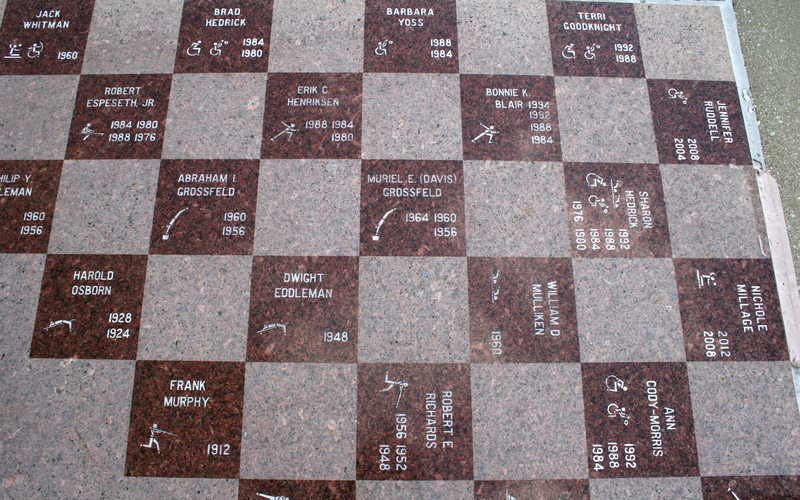 Visitors to the Tribute move from an approach walk to a series of intermediate platforms, marked by light bollards and granite aggregate, reflecting the plateaus achieved then surpassed as the athletes pursue their dreams. Then to the climactic, final, inscribed granite platform beyond the gateway--the smallest but grandest plateau--representing the pinnacle of achievement. Here they can view the surrounding countryside. It is this rising progression that is a metaphor for the path traveled by Olympians as they compete, and excel through discipline and desire. The steps connecting that platform to the ground suggest that the personal glory of achievement is transitory, and that the progress must begin again. 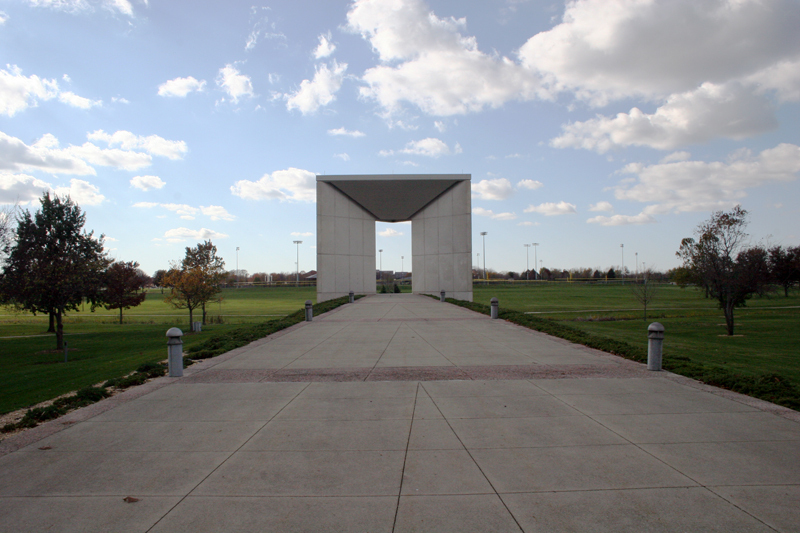 The forced perspective of the approach walk and gateway gives the illusion of great depth, expressing the great endurance and long commitment required in the pursuit of excellence. The Tribute is conceived as a strong geometric counterpoint to its naturalistic setting. It is embedded in and grows out of the soil of its place, a symbolic reminder of the Olympians' bond with the community that honors them. 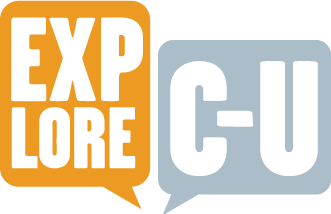 Champaign Park District, “Tribute to Olympic and Paralympic Athletes,” ExploreCU, accessed April 22, 2019, https://explorecu.org/items/show/167.